Sole distributor for SCANIA trucks and buses. Market leader in the heavy truck sector. Major distributors of SCANIA Industrial and Marine Engines. Exclusive merchandiser for CASE from the USA and forklifts by the German manufacturer STILL in Dubai and the Northern Emirates. Diesel engines expertise and material-handling requirements under one roof. Proficient in after-sales operations to both construction equipment and materials handling. A forklift is a piece of machinery that is used in every industry with the sole purpose of lifting heavy goods from place to another within the construction site or industrial facility. Forklifts are heavy duty lifting machines their use brings efficiency to various industries such as the warehousing industry. Forklift suppliers in an industrialized country like UAE are sought after. A few kinds of forklifts are industrial reach forklift trucks, industrial counterbalance, rough terrain, industrial side loader, telescopic handler and pedestrian operated pallet trucks. These kinds of forklifts are designed with a different shape and size and structure as they are intended to be used for various purposes. An industrial reach forklift as the name suggests is used in industries to carry heavy materials within the facility. The sectors which use a forklift extensively are the construction sites, warehouses, recycling and docks. At construction sites a forklift can carry building materials within the site to the exact spot where the building materials are needed. They are the ideal choice for moving building materials at a construction site because it can function perfectly well on any terrain or surface. 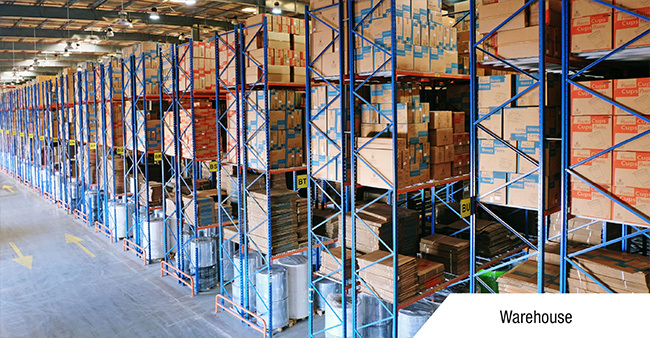 They are also used in warehousing to store goods in a manner that every inch of space in the warehouse is put to optimum use. Another use of the forklift is in the shipping docks. They are used to transfer goods when they are unloaded from the containers of ships to the warehouses. In the recycling industries forklifts are used to unload the materials for recycling from trucks and are shifted to the recycling center. The industries in UAE also make use of advanced machinery like forklifts at construction sites and so on. There are about one hundred and fifty suppliers of forklifts in UAE. Areas like Deira in Dubai and Mussafah in Abu Dhabi are the prominent locations where customers can contact suppliers. Forklifts can be bought or rented; there is also the option of purchasing new machinery or opting for used forklifts.